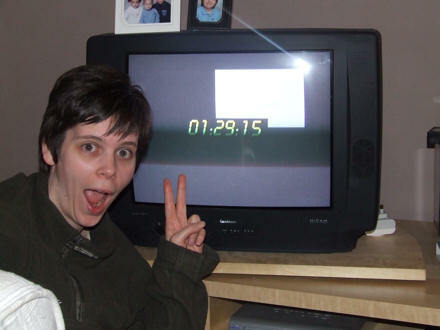 Jane first to predict “24” times … twice! Remember the 24 game that Jane and I play while watching episodes of 24? During the breaks we try to guess at exactly what time the break will end. 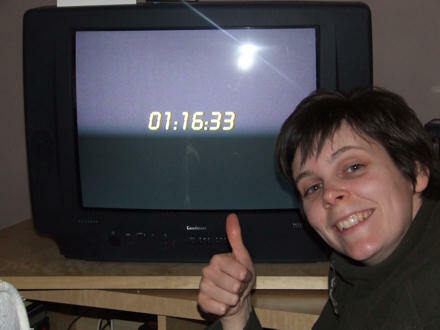 Well, it gives me great joy to announce that last night, while watching Series 3, 01:00 – 02:00, Jane correctly guessed the time that it came back from a break: 01:16:33. Not only that, but she was also spot-on with the next break, correctly guessing: 01:29:15. Jane would like me to point out that she was very tired when I took those photos, and that if she’d known that she was going to be so perfectly predictive — like a mysterious cross between T9 text messaging and Nostradamus — then she’d have dressed up for the occasion. As it is, life’s like that: the most amazing things happen when you least expect them. Posted on Tuesday 10 April 2007 Thursday 14 December 2017 Categories FamilyTags Family3 Comments on Jane first to predict “24” times … twice! Jesus said “You cannot be the slave of two masters!” (Matthew 6:24). BT said exactly the same this morning when they discovered that someone had tried to wire a second master socket to our original master socket. At 08:30 a BT OpenReach engineer turned up at the door — not the cheeriest engineer that I’ve ever met — and got to work testing our master phone socket in the hallway. A few minutes later he asked if we’d installed our own Sky TV box. 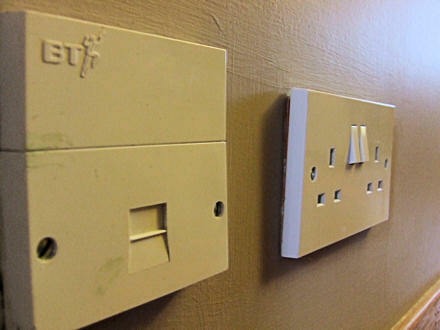 “No,” said I, “Why?” He showed me that someone had wired an extension socket into the back of the master socket, and that it was done in such a terrible way that it was clear to him that it hadn’t been done by a qualified BT engineer. We assured him that we’d only been living here for five months, we didn’t have Sky TV, hadn’t been poking screwdrivers and wires into the back of the master socket, and that all we had connected was a telephone, the router and an answering machine. It turns out that the problem was our answering machine. It turns out that the problem was our answering machine because whoever had wired in that rogue extension socket had wired in another master socket (at least that’s what I think he muttered) and that it had short-circuited our telephone line and completely knackered our answering machine in the process. 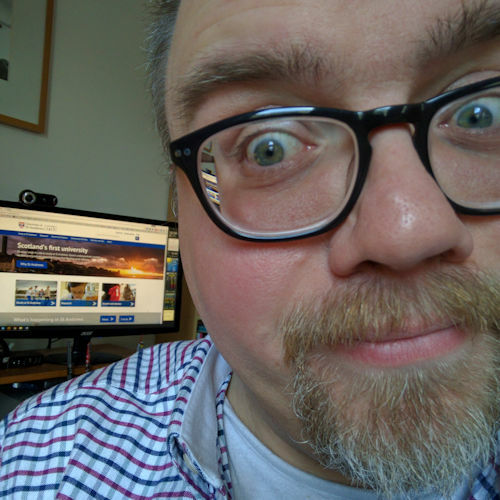 So now we have a phone line again, but no answering machine (other than the invisible BT 1571 service in the sky … but not Sky, because, as I’ve already established, we don’t have that). We’ll just have to wait now to see whether we’re charged the £110+ call-out charge plus £99 per hour for someone else’s poor telephone wiring. But if we are and it goes any way towards solving our poor broadband connections — and allowing me to blog about something else for a change!! — then it will be money well spent.